AssuredGain can help you to formulate strategies to reduce the amount of income taxes, thereby making funds available to allocate toward long term dreams. Tax Planning is an ongoing process that should be reviewed every year. The criteria of selection of investments are Risk & Return, Liquidity, Protection from Inflation and Tax exemption. Tax planning is a vital part of your financial planning. Efficient tax planning enables you to reduce your tax liability to the minimum. This is done by legitimately taking advantage of all tax exemptions, deductions rebates and allowances while ensuring that your investments are in line with your long term goals. Tax planning is the duty of every responsible citizen of the country. Simply paying all the taxes as applicable is the one option and minimizing the Taxes through proper Tax planning is the other. Most people choose second option as it is a fundamental right of every citizen to avail all the tax incentives provided by the government. 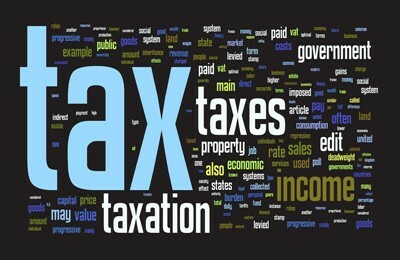 To get a comprehensive Tax Planning solutions please contact Narendar Kumar at 9962439282. Together, we begin to explore your tax planning needs. If we think we may be able to help you, we’ll schedule a complimentary in-person consultation to evaluate your needs in more detail and determine what AssuredGain can do for you.